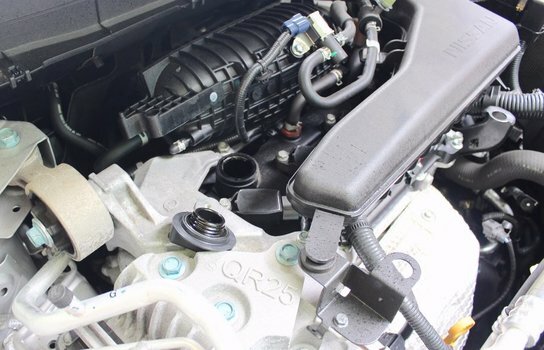 Learn how to change the oil on your 2nd generation 2014+ Nissan Rogue and X-Trail with a 2.5L QR25DE 4 Cylinder Engine (though it should apply to first generation Rogues too). We've got a step by step how to with all the parts and tools you'll need to change the oil yourself and reset the oil service light. 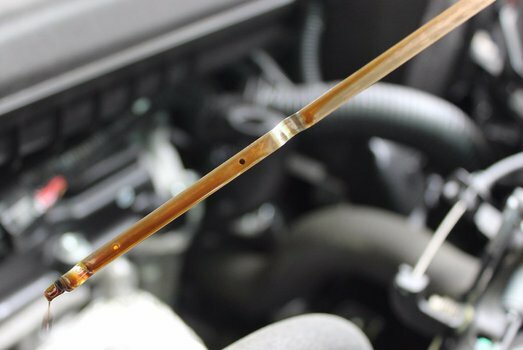 Nissan calls for an oil change every 5000 miles or 6 months under normal use. Lift the front of the vehicle using your ramps or a jack & jack stands. 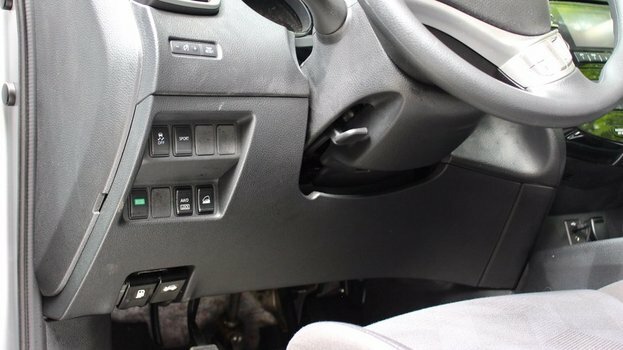 Use the release lever on the bottom driver's side of the dash. 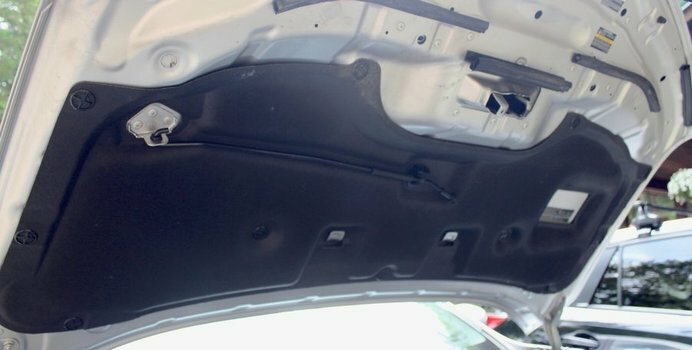 The Nissan Rogue has a somewhat strange hood prop rod - it's attached to the bottom of the hood itself. 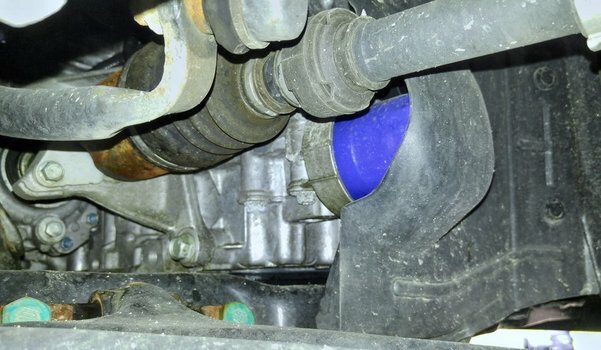 Locate and Remove the oil fill cap. 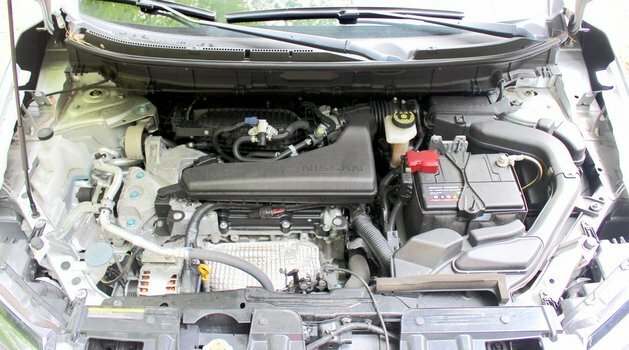 Locate the oil drain plug and place your drain pan under it. Remove the 14mm oil drain plug. Install a new drain plug and crush washer. Torque to 22-29 ft-lb (29-39 N·m). Move the Oil drain pan below the filter. It's located on the passenger side of engine, right behind a plastic splash guard in the wheel well. 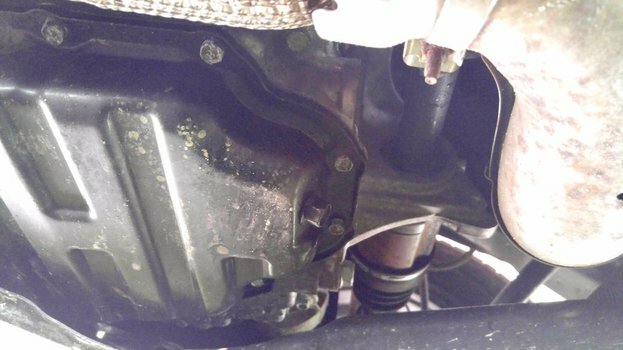 Just push the plastic panel flap out of the way and use an oil filter wrench to loosen and remove the filter. Using your funnel, refill the oil. It takes approximately X.X quarts. There is a special procedure needed to reset the Service due now message. Repeatedly press the right dash button till Settings is displayed. Press & Hold while "Settings" is displayed. Rotate the button to highlight "Maintenance" and press the button in to select. Rotate the button to highlight "Service" and press the button in to select. Rotate the button to highlight "Reset" and press the button.